Do you guys remember making potholders using elastic loops when you were a kid? I do and it was so much fun! Weaving looms have come along way from those days. While you can set up some knitting looms to weave, I wanted to take a look at a loom designed just for weaving. 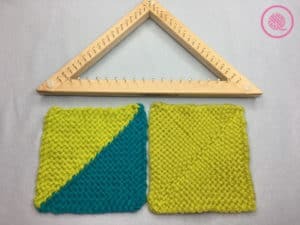 I recently learned how to weave on a triangle loom and I’m excited to share my experience and tips with you. I’m using a 1 foot Kiss Looms triangle loom, but they have looms up to 5 feet wide. That’s big enough to weave an entire triangle shawl in one piece. The techniques I show in the video on a small loom are exactly the same no matter how big your loom is. Check out all the loom sizes on the Kiss Looms website. They also have weaving loom patterns for you to browse for ideas. 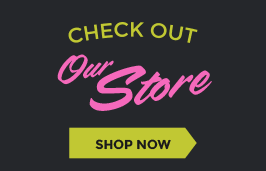 NOTE: Use Kiss Looms coupon code: happyanniversary until August 31, 2018 for 10% off your entire order! The fun of a triangle loom is that triangles make great building blocks. Put two together to make a square. In a small size that could be a coaster or trivet. Keep piecing those squares together and you could make a woven quilt or a patchwork scarf. The possibilities truly are endless! 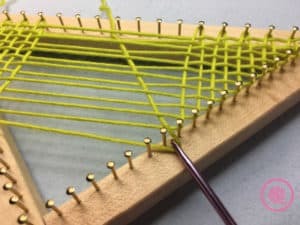 The Kiss weaving looms are designed to use a bulky/chunky weight yarn. For the purposes of the video I used worsted weight (Red Heart Chic Sheep in colors Poolside and Green Tea – affiliate link) so you could see each strand clearly. If you want to weave with worsted weight I recommend using two strands held together. In the picture above you can see the difference. On the left is two strands of worsted and the right is one strand of chunky (Bernat Softee Chunky in color Grass – affiliate link). Weaving is a breeze! 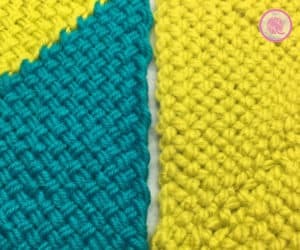 Once you get the basics of how to move the yarn and in which direction this project goes quickly. You can make a small triangle in just a few minutes. When you want to join two triangles to make a square I recommend making the second square on top of the first. This keeps the edges are lined up and ready to join while the triangles are still on the loom. There are several ways to join the triangles, but I like a simple whip stitched edge. It lies flat and makes a very smooth seam when you’re working in two colors. 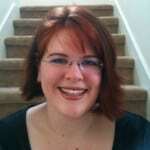 Other options include a crochet join or even a basic bind off like you work on a knitting loom. 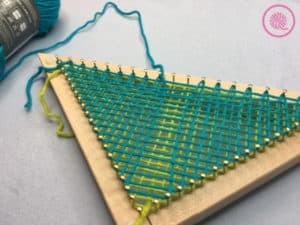 Be sure to check out the full tutorial below to learn how to weave on a triangle loom! Need to see a video from a left-handers perspective? I got ya! Be sure to share your projects on social media with #goodknitkisses because I LOVE to see what your projects! 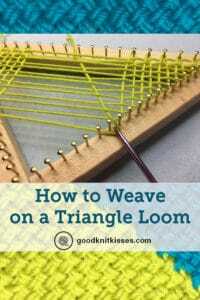 Thank you for your video on triangle looms. I just went to the Smoky Mountain Fiber Festival in Townsend Tennessee and was looking at the triangle looms. 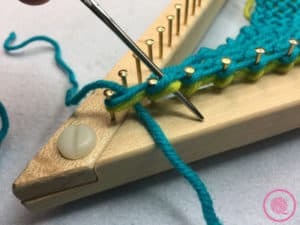 I was unable to figure out how it was done and needed a simple tutorial on a small loom to understand. I am not a fiber artist but I volunteered to help the sponsoring organization.